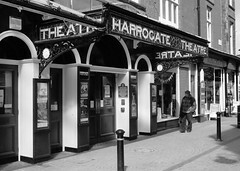 Harrogate Theatre. 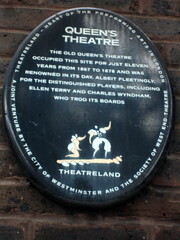 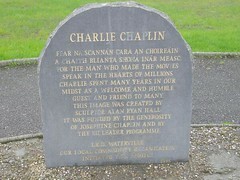 Opened on 13 January 1900 as the Grand Opera House, designed by F.A. 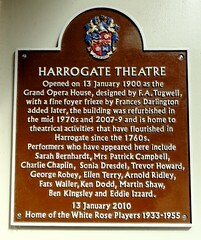 Tugwell, with a fine foyer frieze by Frances Darlington added later, the building was refurbished in the mid 1970s and 2007-9 and is home to theatrical activities that have flourished in Harrogate since the 1760s. 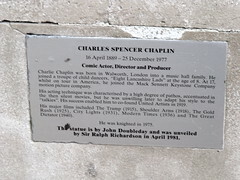 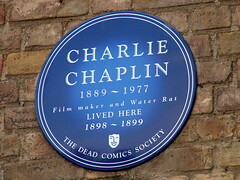 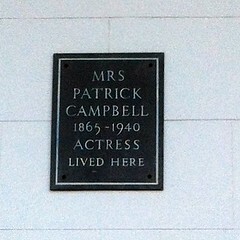 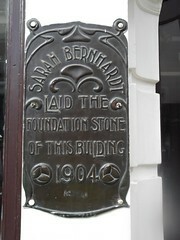 Performers who have appeared here include Sarah Bernhardt, Mrs Patrick Campbell, Charlie Chaplin, Sonia Dresdel, Trevor Howard, George Robey, Ellen Terry, Arnold Ridley, Fats Waller, Ken Dodd, Martin Shaw, Ben Kingsley and Eddie Izzard. 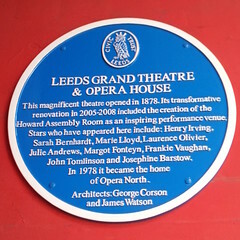 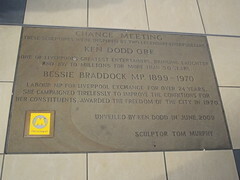 Home of the White Rose Players 1933-1955.